Gigi Hadid has designed her first activewear collection, in collaboration with sports giant Reebok. The supermodel’s designs is giving us a 90s vibe, and we love it. I hope this collection inspires people to find the things that inspire them in life, and the things that they love that build up who they are. 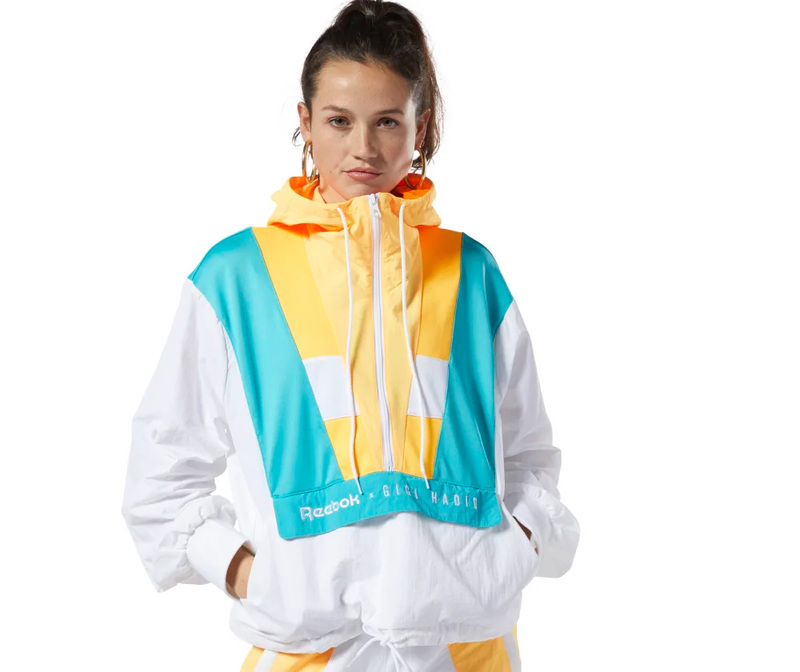 The Reebok x Gigi Hadid range is unfussy, relaxed and trendy. It includes everything from running shoes to form-focused tracksuits, jackets and bodysuits. Speaking passionately about her collection, Hadid told an audience at the launch event in New York about how important sport is to her confidence. The Reebok x Gigi Hadid collection is now available on the Reebok website. Training Supply Cowl Neck Top, Available In More Colors, $70. Aztrek Double x Gigi Hadid, Available In More Colors, $110. Gigi Hadid Track Jacket, Available In More Colors, $80. Gigi Hadid Tee, Available in More Colors, $35.